The multipurpose and heavylift shipping sector will see strengthening rates through 2019 fuelled by rising project cargo traffic, but prospects thereafter are muted by an anticipated slowdown in world trade. As mature auto markets peak and OEMs ramp up new technology investment, car carrier shipping volumes are likely to benefit. 06 Nov 2018: Could owner consolidation help correct tonnage oversupply in the multipurpose shipping sector? Recent talk of mergers and acquisitions in the multipurpose vessel segment has been cited as a potential cure to the sector’s overcapacity ills. But evidence to date suggests that the key beneficiaries are likely to be the acquiring companies themselves rather than the industry as a whole. The specialised shipping sector covers a variety of different niche segments that remain critical to the conduct of world trade. Each of these sectors is characterised by very different dynamics and characteristics, requiring highly specialised understanding of these niche trades. As a trusted, independent voice in the market, our team of specialists are regularly asked to present their research findings into market trends and future predictions for multipurpose and reefer sectors at leading industry conferences around the world. In addition to detailed market analysis and rigorous forecasting we offer market leading analysis of the trade affecting the principle vessel categories as well as appraisal of shipping finances, including pricing, operating costs and investment returns. We challenge conventional wisdom through our deep understanding of the trade dynamics driving demand for different vessel types in all corners of the world. Key US ports, leading global container lines and specialist car carriers will all be adversely impacted should the proposed US auto tariffs be implemented in the second quarter of 2019, according to an impact analysis published by global shipping consultancy Drewry. Average vessel operating costs rose modestly for the second year in succession following two years of marked declines, according to Drewry’s latest Ship Operating Costs Annual Review and Forecast. 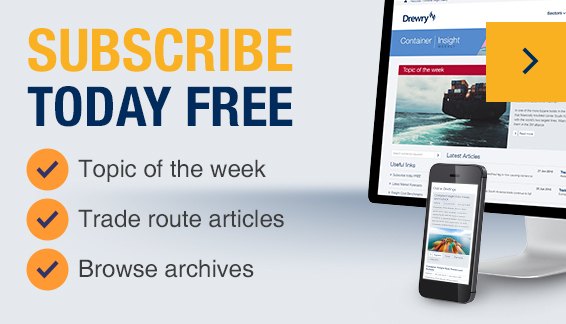 The primary source of market insight, analysis and advice, trusted by the global maritime and shipping industry. Reefer Shipping Market Review & Forecast is one of our flagship annual reports, providing a complete review of this highly specialised sector whilst also presenting detailed forecasts. New and improved for 2018/19, including bi-lateral trade analyses and access to all data tables and charts in Excel. Written by one of the sector’s leading experts our Multipurpose Forecaster provides an unparalleled depth of market analysis. This subscription package comprise the annual market review together with quarterly sector updates.